You know…that food that you’re most likely to pound after a hard day, or a sad day. Your kryptonite. strings of chocolate stretching as you broke it apart…. These days, I may have conquered my sugar addiction, but that doesn’t mean I skimp on desserts. No, ma’am. I just use a harm reduction principle – the concept that if you’re going to engage in a dangerous activity, you should do so as safely as possible. (Same principle behind distributing syringes to heroin addicts, or condoms in school. I call it common sense). 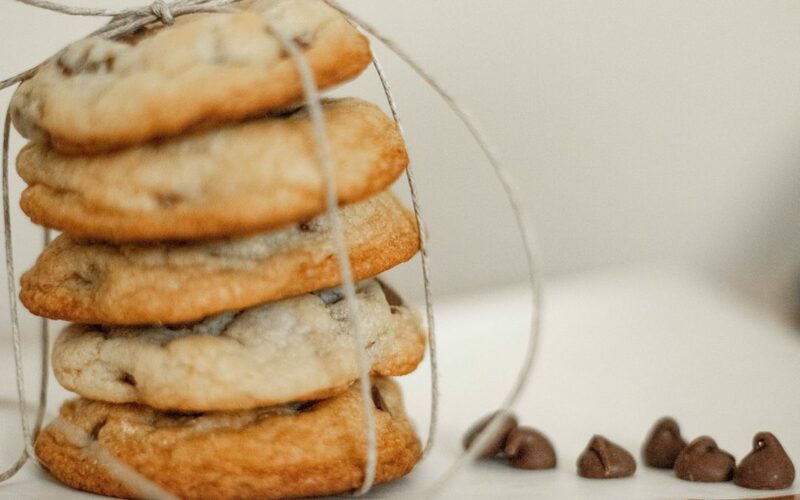 Is cookie consumption dangerous? Well, you and I know it can be. It’s gluten-free. I’m ok with eating a burger on a wheat bun if I’m out on a date night, but I avoid using gluten at home. I’ve found that most people don’t digest it well. When I eat more than a little bit of it a few times per week my belly swells up and I look like I’m in my second trimester. So I’m always experimenting with gluten-free flours, and the almond flour I use below is one of my faves for baking. If you’ve never worked with almond flour before, you’re in for a serious treat. It’s cakey, not too dense, slightly sweet, and packed with minerals. (Remember that almonds grow on trees whose roots reach deep into the ground, accessing all of that mineral-rich soil.) It’s also very low in carbs, and while I’m certainly not anti-carb, it’s just a fact that carbs spike the blood sugar…and the subsequent crash can trigger sugar cravings. In contrast, the fat and protein found in almonds work to keep your blood sugar nice and stable. It’s refined-sugar-free. Also notice there’s no refined sugar of any kind in this recipe, for obvious reasons. Don’t be fooled by “evaporated cane juice”, “brown sugar”, and “beet sugar” – all euphemisms for the legal white powder. I use honey instead, which is also rich in minerals, and has anti-bacterial properties – how cool is that? It’s easy. Best of all, this recipe is super-simple and super-quick. All the better to shove healthy cookies in my mouth, STAT. 2. Combine dry ingredients in a bowl. Stir. 3. Combine wet ingredients in another bowl. Stir. 4. Gradually add dry ingredients to wet, stirring (or, if the dry ingredients’ bowl happens to be bigger, you can do it the other way around. Doesn’t really matter). 5. Form 1/2 inch balls and press gently onto a parchment-lined baking sheet. 6. Bake for 7-10 minutes (tops of cookies will be slightly golden-brown when ready). Know someone who would love this recipe? Please share the love by forwarding.